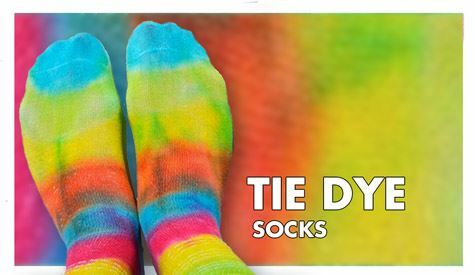 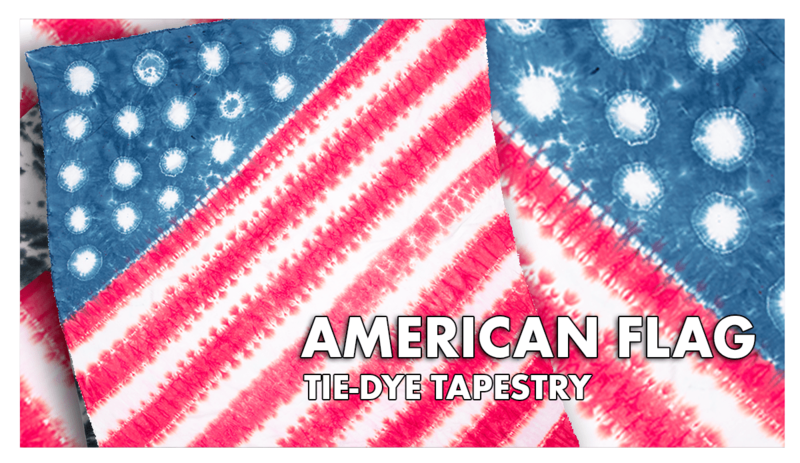 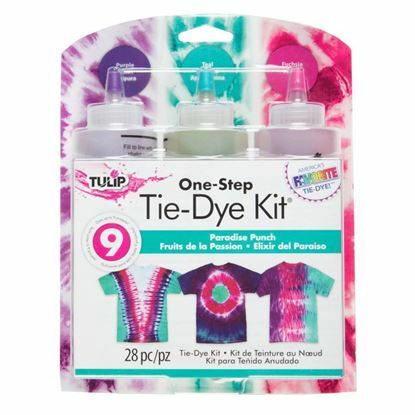 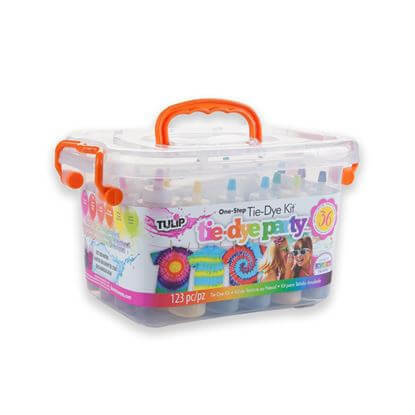 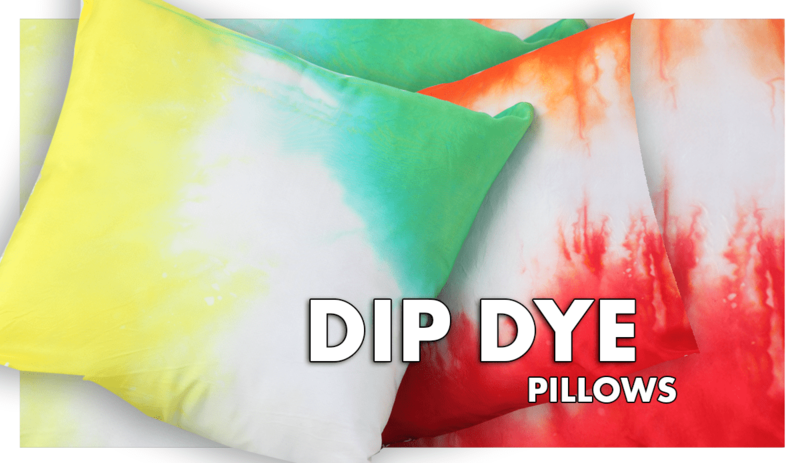 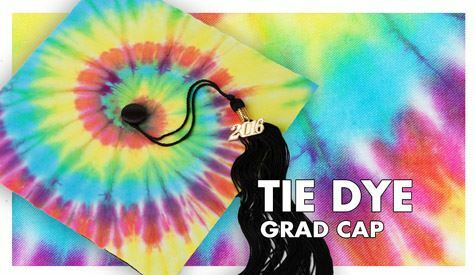 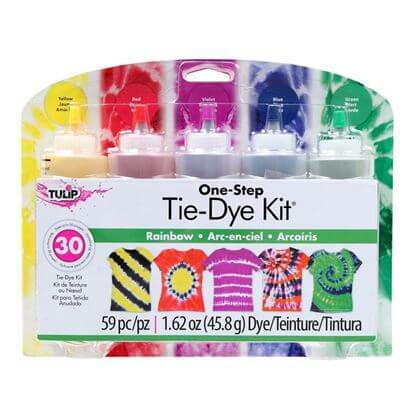 Pull, twist or shape damp fabric according to instructions for desired tie-dye pattern. 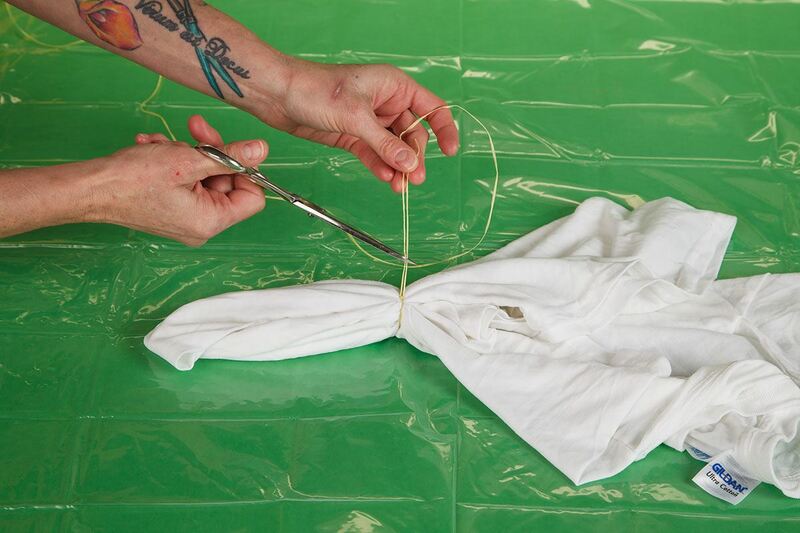 Tie string tightly around fabric and secure with a knot. 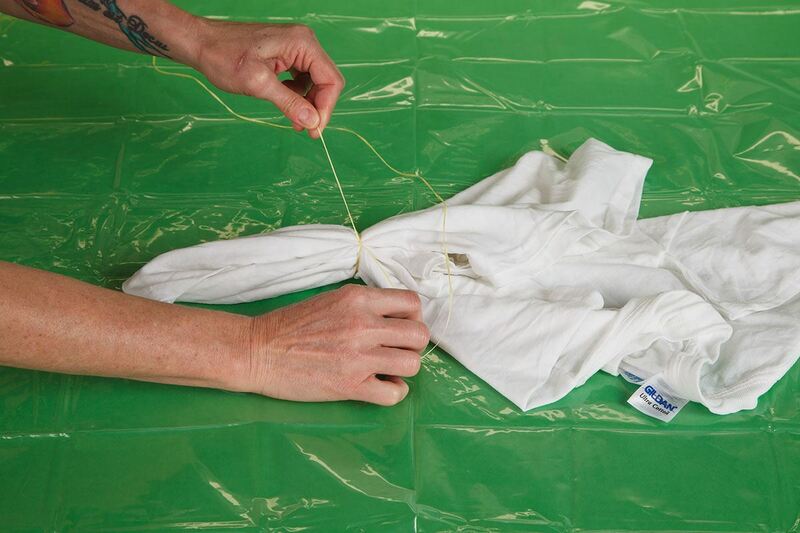 Cut off excess string after securing. 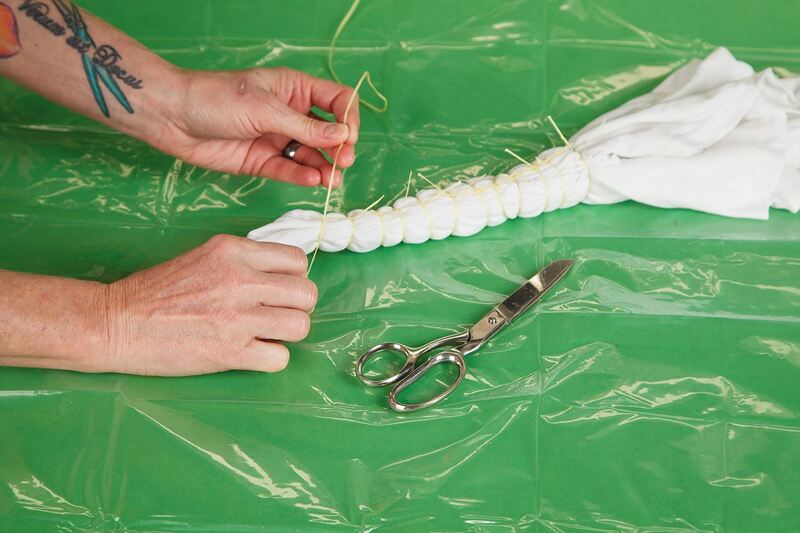 Continue process until fabric is secured according to pattern instructions. 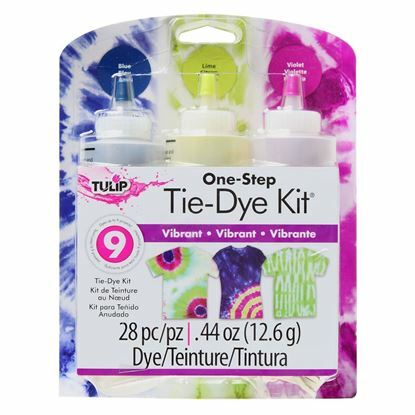 Dye and let set according to instructions. 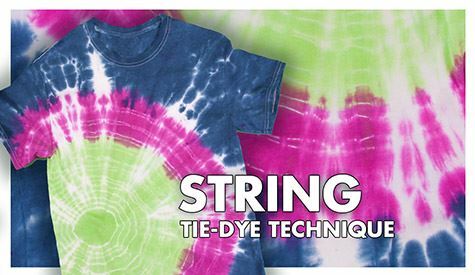 Carefully cut off string before washing.